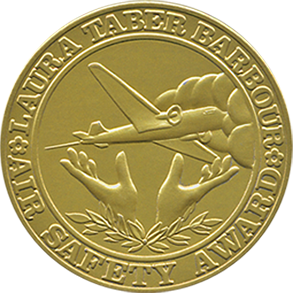 Established in 1956, the Laura Taber Barbour Air Safety Award recognizes notable achievement in that field of aviation safety – civil or military – in method, design, invention, study or other improvement. Click the ‘Choose File’ button to attach all documentation in support of your nomination. Please limit each document to two pages. Nominations without supporting material & self-nominations will not be considered.